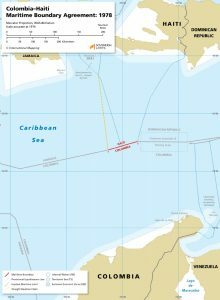 The maritime boundary between Colombia and Haiti was established through a bilateral agreement that was reached in 1978 but did not enter into force until 1979. 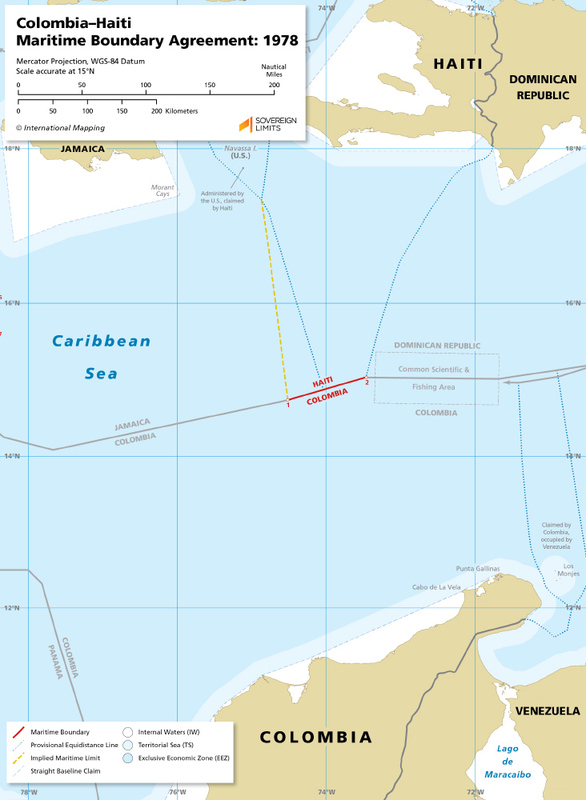 The boundary is composed of a single geodesic line segment approximately 65 nautical miles long. It begins at a tripoint with Jamaica and ends at the tripoint with the Dominican Republic.